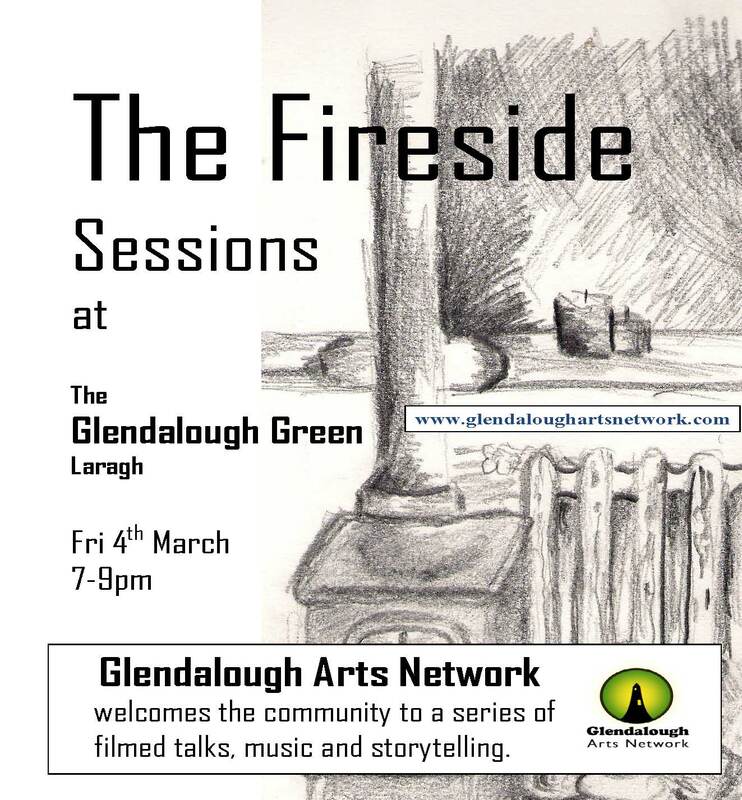 The all new Glenaldough Arts Network ‘Fireside Sessions’ grew out of discussions between the core group following last years hugely successful ‘Lights in the Valley’ event. It was decided that we needed a regular networking event, one where individuals in the area could showcase their work. It was also decided that we would record these ‘sessions’, and add them to the artists’ online portfolios. Glenaldough Green seemed like an excellent place to start, and the new stove gave us our title. The ‘Fireside Sessions’ it was. Pat Conroy: adventurer, visual artist, Limerick man and all round nice guy will be doing a short presentation on his work. There will also be music by Alan O’Baille & Julie Byrne. So drop up if you are around. It’ll be a fairly relaxed affair and a few technical problems aside, we are expecting it all to run really rather smoothly. We would especially like to thank Clodagh and all the crew in Glendalough Green for their support.